ServiceStack has its strong foundations as a Web and MQ Services framework whose easy and versatile HTML support makes it the ideal services framework to create Backend Systems and Web APIs, Websites, Single Page Apps, Windows Services, Self-Hosting Console Apps and Rich OSX and Winforms Desktop Apps. 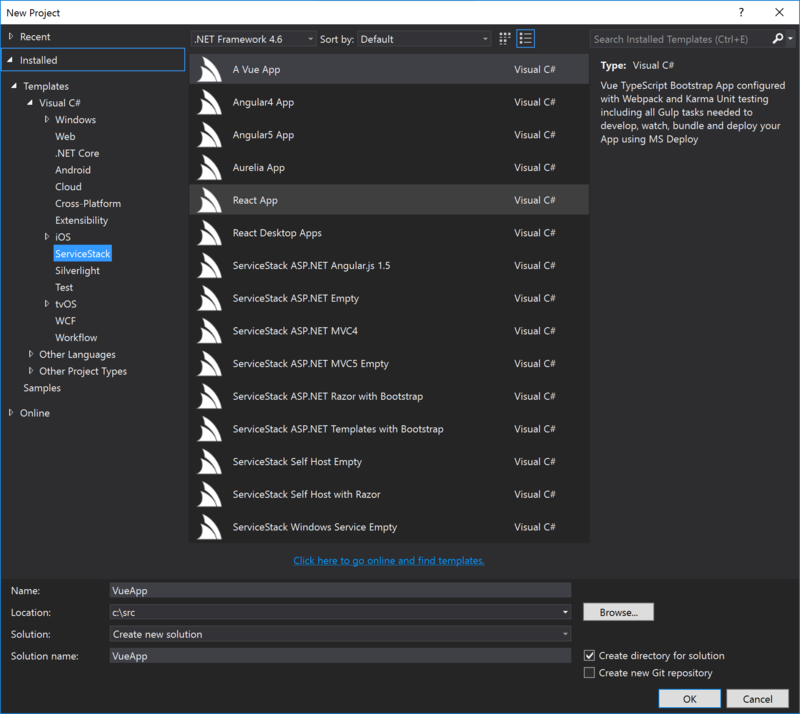 All VS.NET Single Page App templates are powered by Webpack which handles the development, testing and production builds of your Web App. See the Webpack Template Docs for an overview for how to utilize the templates features. 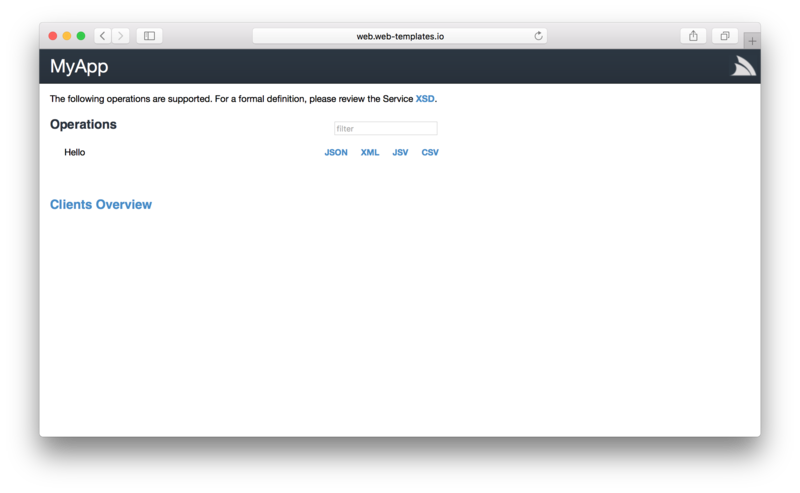 Website Templates contain popular starting Templates for creating Server HTML Generated Websites and HTTP APIs with ServiceStack. Empty Web and Self Hosting Console and Windows Service Templates. 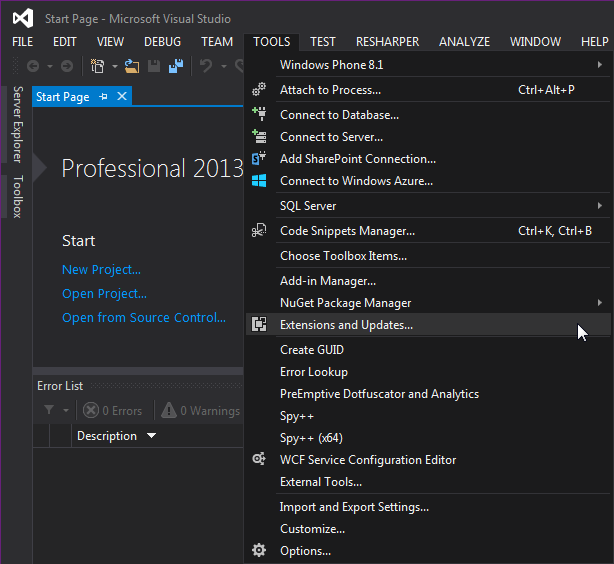 Popular starting templates for creating ASP.NET Core templates on the .NET Framework. Desktop Templates for packaging your ServiceStack Web App into different Native Desktop UIs. React Desktop Apps take advantage of the adaptability, navigation and deep-linking benefits of a Web-based UI, the productivity and responsiveness of the React framework, the performance, rich features and functionality contained in ServiceStack and the .NET Framework combined with the native experience and OS Integration possible from a Native Desktop App - all within a single VS .NET template! The ReactJS App VS.NET Template enables an optimal iterative dev experience for creating optimized Single Page React.js Apps. It shares the same approach for developing modern Single Page Apps in VS.NET as the AngularJS App Template by leveraging the node.js ecosystem for managing all aspects of Client App development and using the best-in-class libraries. 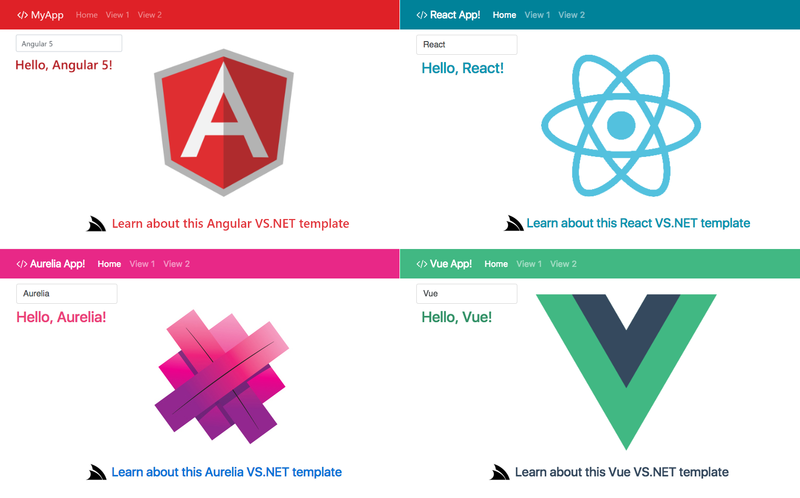 The AngularJS App template in ServiceStackVS provides a modern opinionated web technology stack for developing rich Single Page Apps with AngularJS and ServiceStack.